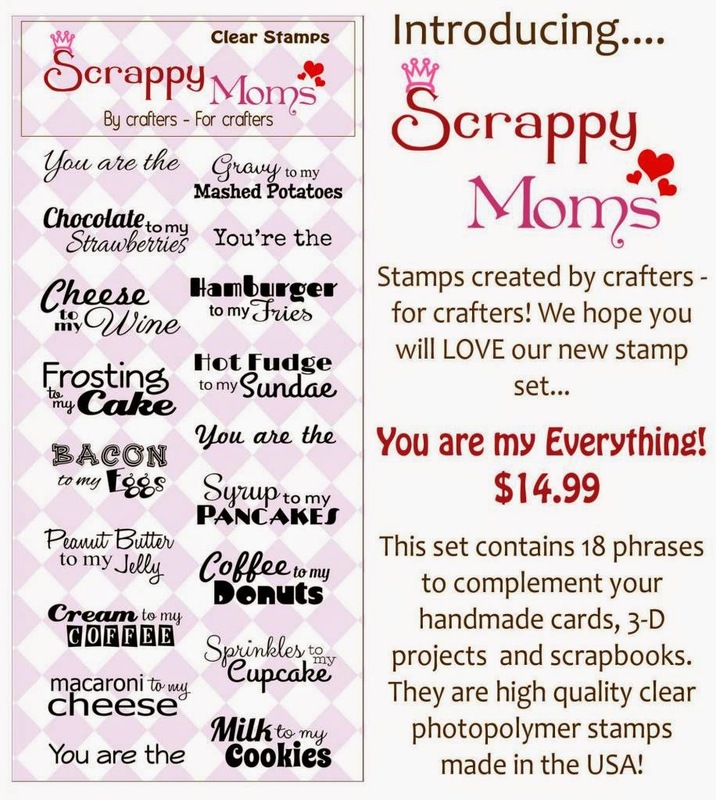 Simply Silhouette: Scrappy Mom'sTerrific Tuesday Challenge"We Belong Together!" will work just the same. the colors I wanted to use. using pop dots to give them dimension. the "You Are My Everything!" What a great job on this project....Love what you did with the fries Great coloring, and all around just adorable Nice job !! This is super cute!!! Love the french fries!!!! Fabulous card. 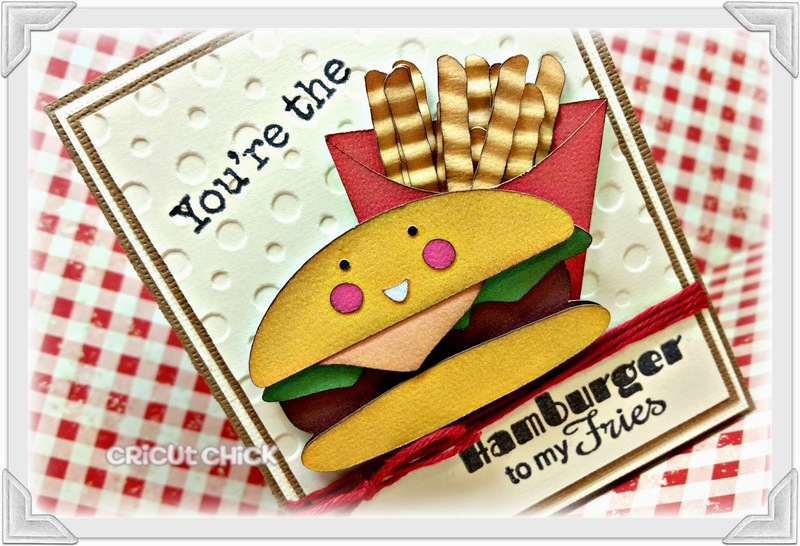 Love the embossing and the hamburger and fries together. This card is absolutely DARLING! 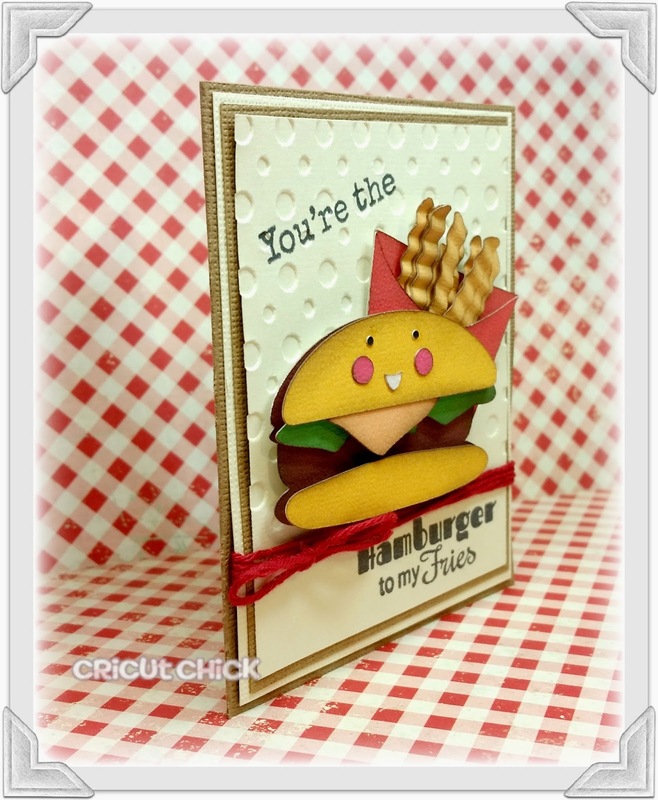 Those fries are so perfect :) I love the totally red Trendy Twine on your card. It is the perfect finishing touch! 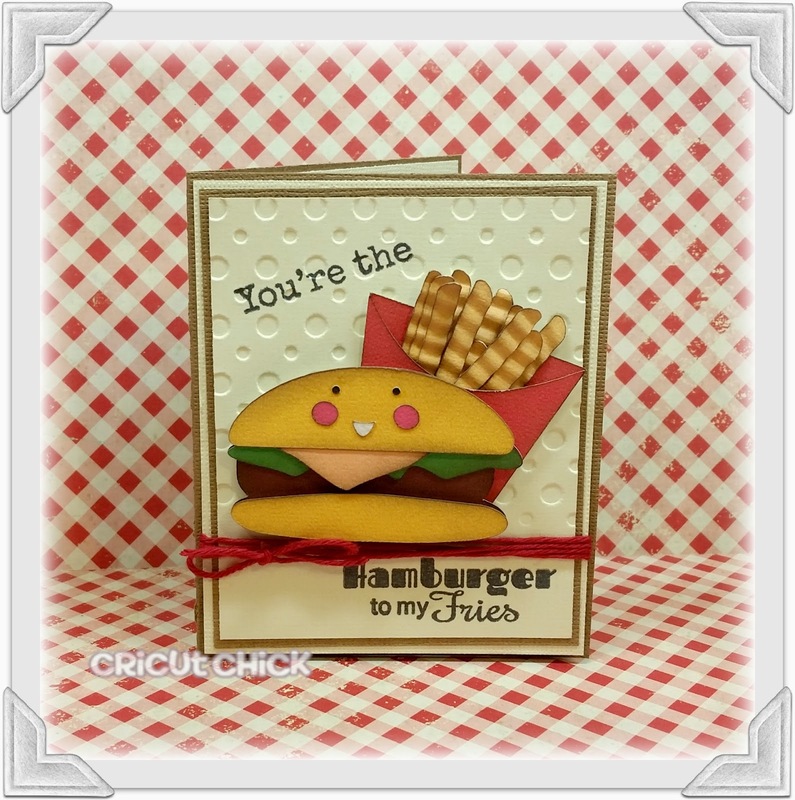 Great card - the fries are super cool! This is adorable! I love those crinkle cut fries!! Hugs!! Making me hungry! I LOVE fries! Cute card!